Twistfix are delighted to announce that we have chosen The Children's Air Ambulance as our charity partner for the next twelve months. We have pledged an initial £3000 to be donated at £250 a month to get the ball rolling and we are offering all of our customers the chance to get involved through events, special offers, donations and purchases. 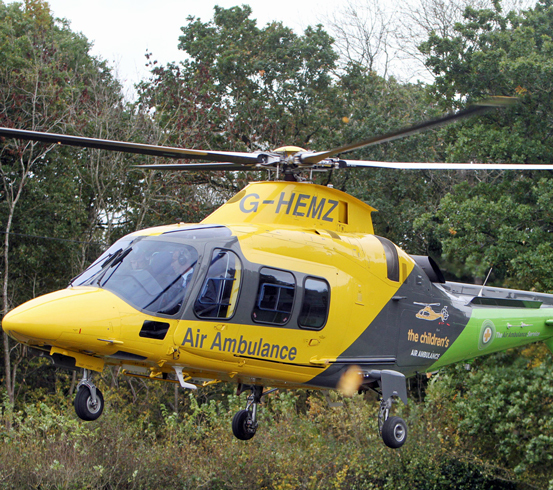 The Children's Air Ambulance (TCAA) is a unique service, the first of its kind to offer dedicated emergency transfer of children between hospitals and specialist units. Allowing a full clinical team to travel with the ill child, TCCA dramatically cuts down traditional land-journey times which can be extended and arduous. This means that ill children or babies who need a hospital transfer, of which there are some 5,800 every year, can get the lifesaving care they require much sooner, improving their prognosis and shortening recovery time. 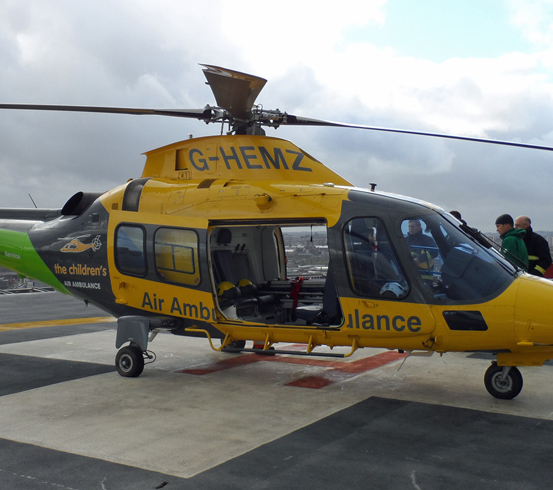 Since its launch, TCCA has made over 50 successful transfers of seriously ill children in the UK. TCCA was launched in 2012, successfully transferring its first clinical team in December of that year. The first successful patient transfer happened on the 11th of May 2013, since which time the helicopter has seen continued pioneering development of its facilities and further customisation to make it ideal for its purpose. These facilities include a full selection of medical gases, monitoring equipment and a custom-designed baby incubator which can be attached to a stretcher; as well as fully meeting the requirements of its patients and clinicians, TCCA also adheres strictly to all Civil Aviation Authority rules and guidelines. Unique in that it is dedicated to paediatric transfers between hospitals, as opposed to traditional air ambulances used to transfer patients with accidents and injuries from their current location, TCCA receives no Government funding whatsoever and, as such, is entirely reliant on charitable donations and support. Last year, we gave 1% of all sales from our range of basement tanking membranes to the Rainbow Trust charity; £3,000 in all. This year, as the rain has been particularly bad and we have seen a marked increase in purchases of all damp and waterproofing supplies, we have widened the net and are giving 1% of sales of all products in our best selling Damp Proofing section to TCCA. We are also working on a one-click 'Donate-a-Pound' button to allow customers the chance to make an instant donation.­ Our target is to raise £6,000 for this worthy cause in 2014. Fundraiser at TCCA Faye Wilson welcomed news of the partnership, saying, "We are so grateful that Twistfix have chosen to support The Children’s Air Ambulance; they are offering us a fantastic opportunity as their charity partner and one we look forward to embracing. Their initial pledge of £3000 is a wonderful, lifesaving amount for us and by promoting us on their website as well we will be able to reach a whole new audience to tell them about our fantastic service". Dave Chadwick, Managing Director of Twistfix, added that, "We have a strong history of supporting children’s charities here at Twistfix and jumping on board with such a new and exciting charity like The Children’s Air Ambulance gives us a great opportunity to give back to the communities we supply." We look forward to the partnership with TCCA over the coming twelve months. For more information about the lifesaving work of the charity, please visit their official website at www.­thechil­dren­sa­iram­bu­lance.­org.­uk. All purchases made from our damp proofing section during the next year will represent a donation to TCCA. For more information on the range, please contact Twistfix by calling 0845 123 6007 or email us at sales@twistfix.co.uk.